Read how the campaign came to be. Last June, Serena Williams put away a quick volley to defeat Angelique Kerber in the Wimbledon final, winning the 22nd Grand Slam title of her storied career. The victory tied Williams with Steffi Graf for the most Grand Slams won by a woman in the Open Era and set the stage for a chance to break the tie at the U.S. Open a few months later. Before the action got underway in New York, Nike contacted Los Angeles-based creative agency Where It's Greater with the idea of creating an advertisement celebrating Williams' next milestone and its unique connection with another sports icon. "They reached out to me before that match," said Where It's Greater founder Dan Hall in an interview with Sole Collector. "They had the creative pretty loosely dialed in. They knew they wanted to emulate some original Air Jordan ad from back in the day and this was the one that they landed on. So we created it." 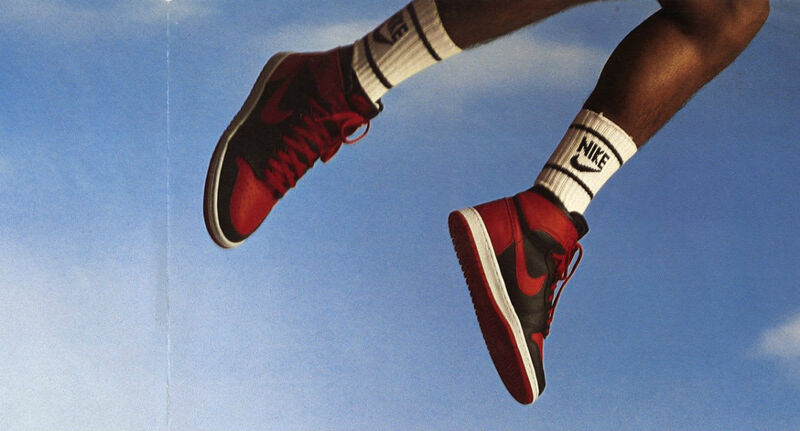 The ad, a modern interpretation of an original from 1985, replaced Michael Jordan's legs with Serena's, linking the latter with #23 in anticipation of her setting the new Open Era mark. Williams' NikeCourt Flare sneaker was also given an Air Jordan 1-inspired makeover. The sneakers and ad would serve as an appropriate tribute to the present-day legend if she were to cap off her 2016 season by winning another Grand Slam. 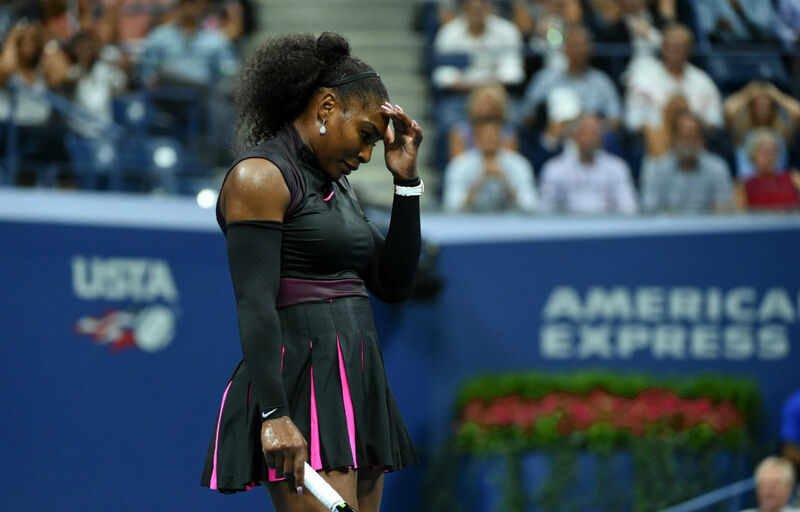 However, those plans were derailed when Williams was shockingly upset by the Czech Republic's Karolína Plíšková in the U.S. Open semifinal. Hall recalls the disappointment he felt for both Serena and Where It's Greater. "I definitely remember being a little bummed. I’m in the world of creating materials to market for brands like Nike, but at the same time, as I’m marketing for them, I’m marketing for myself. I want to see the campaign I worked on come to life. Nobody wants to put a lot of work in and it never comes out. It just goes in a folder on your hard drive, like, 'Oh we did this thing that no one saw, but it was great.'" Fortunately for Hall, Nike remained steadfast in its commitment to Williams, eyeing the 2017 Australian Open as a new target for rolling out the campaign. And even at age 35, Williams proved to still be on top of her game when she defeated her sister Venus in the Aussie final to become the new queen of the Open Era. 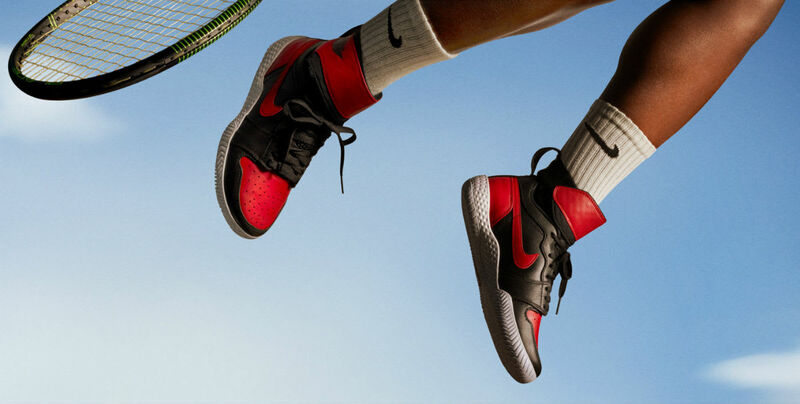 Those who stayed up late (or woke up early) to watch the finish caught a glimpse of the NikeCourt Flare AJ1 and Serena 23 campaign, including the ad by Where It's Greater. Hall first learned that it had been released when he woke up that morning and scrolled through his social media. "I remember delivering the files back in September. I didn’t even know the campaign was going to come out because usually what happens is people will scramble at the last minute and ask you to send over hi-res files. But it was kind of quiet. Nobody asked for anything, so I was kind of surprised when I saw it." The shoes from the project ended up releasing on Jan. 30, but there's evidence beyond Hall's anecdotes revealing that Nike did indeed have them ready to go last year. An obscure Asian sneaker site leaked official product imagery in the summer, and dates inside the tongue show the sneakers were produced in March, 2016. According to Hall, the Grand Slam loss from last year is just one of many examples of how the life of a marketing campaign can be threatened before it even gets off the ground. He doesn't know what Nike has planned for Williams' pursuit of Margaret Court and the overall record of 24 Grand Slam titles, but he'd be all ears if they came calling again.